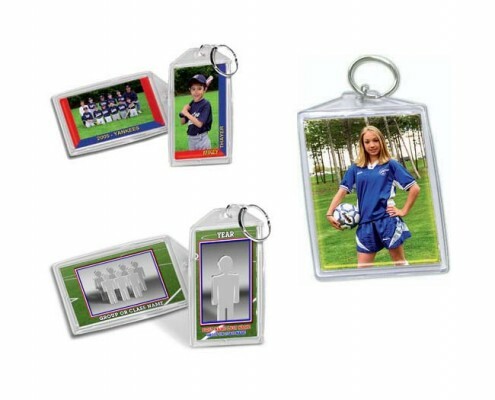 A great way to display your photos, these 2×3″ Keychains come in different styles and options. Our Memory Mate Keychain shows off both team and individual. Our standard keychain features a wallet sized individual print on each side, encased in a sturdy plastic holder.